Please print out and bring the physical ticket for admission on Museum Day! 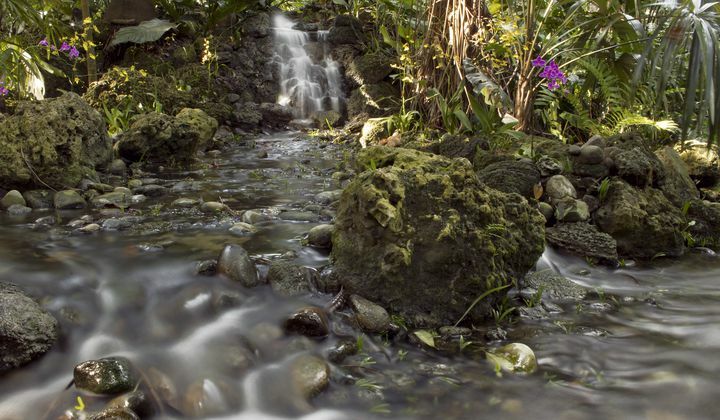 Established in 1938 and comprising 83 acres in Miami, FL., Fairchild Tropical Botanic Garden is a 501(c)(3) non-profit organization dedicated to exploring, explaining and conserving the world of tropical plants. 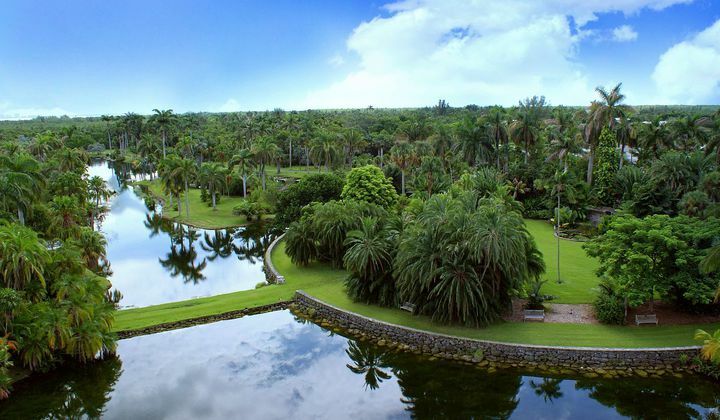 The world-renowned plant collections feature palms, cycads, orchids, tropical fruit trees and more. Fairchild has the largest education program of any metropolitan area, reaching more than 200,000 schoolchildren each year with environmental programs like The Fairchild Challenge. It aims to inspire a greater knowledge and love for plants and gardening so that all can enjoy the beauty and bounty of the tropical world. Special events include Chocolate, Mango & Tropical Fruit, and Orchid Festivals in addition to an annual art exhibition, concerts, plant sales and more. 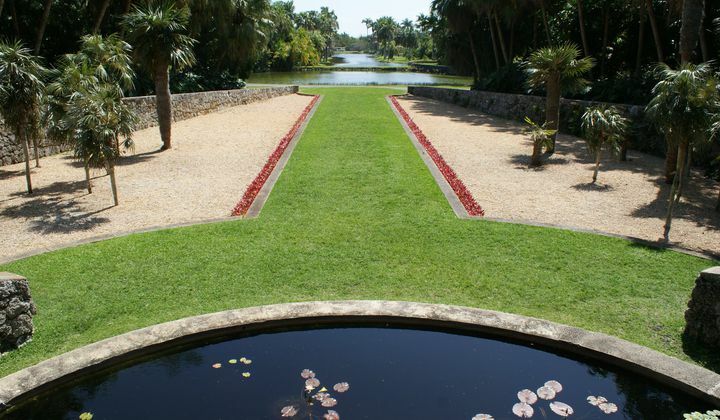 Fairchild has numerous Garden Collections and Exhibits. Our Wings of the Tropics Conservatory features thousands of exotic butterflies along with some of the world's most beautiful plants. Our Tropical Plant Conservatory and Rare Plant House houses over 450 different species of plants from the tropics - and don't forget to snap a selfie at the Liberty Hyde Bailey Palm Glade with its panoramic view of the Garden. 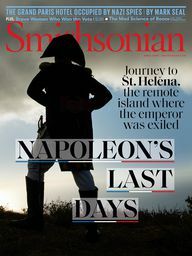 For more information on our exhibits, visit our site. See the future of gardening on Earth and in space with student-led technology demonstrations outside the Garden House and Hsiao Labs. Fairchild and NASA are working with thousands of middle and high school students, choosing edible plants to grow in space. A NASA-led teacher workshop will be in progress all day in the Garden House, with portions open to the public. Come enjoy hundreds of exotic butterflies in our Wings of the Tropics exhibit! Our BioTECH students are happy to share our various conservation science initiatives with you. Stop by our Marjory Stoneman Douglas statue and photo booth to take a selfie and learn more about the women behind the Garden. Explore the rainforest and spot our recently installed orchids, part of an upcoming exhibition. 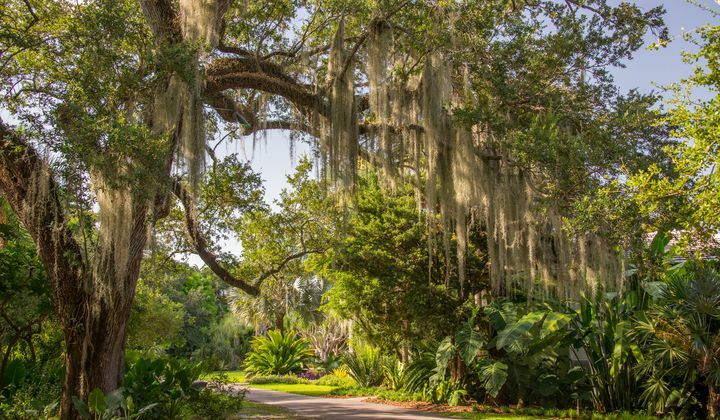 Stroll through the Palmetum, Cycad Circle and Cycad Vista, the Arboretum, and our many other exhibits of plants and ecosystems from water features to arid deserts. Butterflies in your Backyard: Which plants should I choose to attract butterflies? 10:15 a.m. & 11:15 a.m.
11:30 a.m. through 2:30 p.m.
Dine and relax at The Glasshouse Café, and watch the Wings of the Tropics butterflies in air-conditioned comfort. Or, grab a bite (or two) at The Lakeside Café or from the MeZican Gourmet Food at the Cycad Circle. Shop through a wide variety of unique tropical inspired items like books, home decor, fair-trade products and more. Also in the Shop, pick up a free nature hunt to discover Fairchild with the kids. Today only! 50% off Membership. Inquire at any admission point.